Metropolitan Chess programs are run by Regional Managers who can be reached at schools@metrochessla.com. Send us an email to get an award winning program started at your school. The goal of Metro Chess School (“Metro Chess”) is to promote educational opportunities for today’s youth through the use of chess instruction. We aim to make such opportunities widely available through high quality, low cost chess education for students K-9. The chess emoji book helps track student progress in the chess classes while making it fun for students! Each class begins with a quick, fun, and informative lecture that introduces players and events from all over the world. Our experienced instructors are then able to assess what the students will need to learn next to continue their rapid chess development. 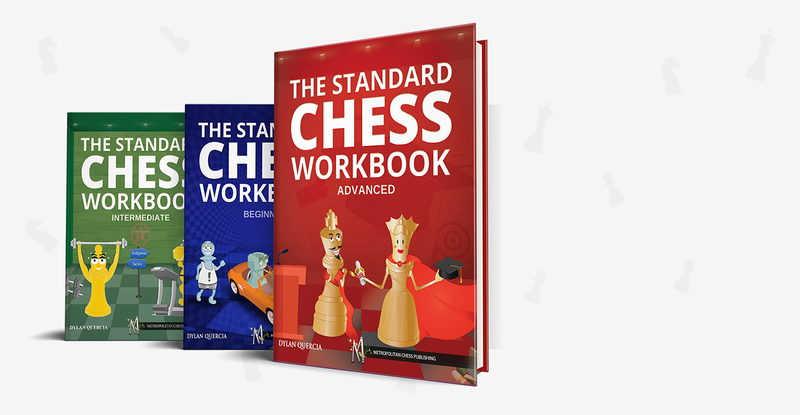 The instruction is also paired with weekly chess workbook exercises that students can use to improve their skills at home. We provide chess instruction in schools across the United States. Each class meets one hour a week for eight to sixteen weeks. Classes are priced as low as $15 per class which includes a chess workbook to supplement their progress. Our classroom provides a safe learning environment where every student can have fun while playing and studying chess. The many benefits of learning chess have been documented and proven through the use of scientific studies. Students who study chess often improve in skills such as calculation, spatial reasoning, concentration, focus, planning, logic, and creativity. The class begins with a 5-10 minute presentation of chess culture and history. Following that is 10-15 minutes of detailed chess instruction. The class finishes with guided practice games for 25-30 minutes with the instructor providing helpful tips and advice to each student. Our instruction is divided into beginner, intermediate, and advanced levels. Beginner students are taught all of the rules and basics of chess. Intermediate students learn basic tactics, strategy, and effective calculation techniques. Advanced students are taught to solve complex tactical puzzles and are introduced to strategies for the middlegame and endgame. Our instructors are background checked, and receive training by official FIDE and USCF chess masters. Every instructor is trained in advanced classroom management techniques. Comprehensive training sessions give every instructor the ability to work with a wide range of students and learning styles. "The class was great. I wanted to thank you for helping to sort everything out... I hope our students will be attending chess club for many sessions." "You all did a fantastic job of teaching my challenging students chess and I would recommend you to anyone who was seeking your services. The nature of our [special needs] kids is that they move from one “focused” activity to another to another and so on... [but] I bet a number of them will come back to it because of the joy you brought to them in playing this game." "We would be interested in continuing our chess sessions [for the school year]... What a successful program, the children love it!" 1. What makes Metro Chess different than other programs? Metro Chess offers chess education at the most affordable price with the highest quality level of instruction. 2. Are the instructors background checked? Yes, our instructors are background checked. 3. Is your program insured? Yes, we have general liability and professional liability insurance coverage. 4. What is the age range/skill level for classes? The range is K-9 for levels beginner to advanced. Depending on your school needs, we will send someone with the appropriate training to your school. "When my son started playing he was a complete beginner, now he is a rated chess player! " "Chess Director Dylan is wonderful at connecting with the children and creating learning opportunities. " "My son gained chess skills, had fun and became more confident through his experience with after school chess instruction." Have a passion for both chess and teaching? Then join us! Classroom Instructors - Do you have experience working with children? Are you a strong or avid chess player? Do you have a passion for teaching chess? Attach your resume and tell us a little about your chess experience when you apply. Interns - Are you a college student looking for real world experience? Are you passionate about chess and want to work with children? Are you looking for a program to fulfill your work study hours? Attach your resume and tell us a little about your chess experience when you apply. Metro Chess School (“Metro Chess”) gives students the tools to succeed in life through learning the game of chess. We serve students in schools all over the United States. 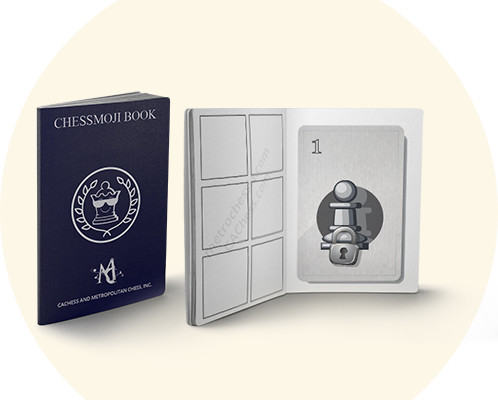 Metro Chess School is a brand of Metropolitan Chess, Inc. an organization dedicated to providing opportunities for chess players to learn, improve, and grow. Dylan Quercia is the Director of Scholastic Programs of Metropolitan Chess, Inc. He has been working with elementary and middle school aged students for over 10 years. He has been playing chess for over 20 years is currently ranked as an expert. He attended the University of Illinois at Chicago and holds a B.S. in Biological Sciences. After college, he moved to Los Angeles with his wife. In Los Angeles, he worked for a major non-profit and built a chess program with over 4000 students a year. He has a goal to reach many more students and instill in them a love of the royal game! Ankit Gupta is a Life Master with the United States Chess Federation ("USCF") and serves as President for Metropolitan Chess, Inc. and Metro Chess School. He has over 20 years of experience playing chess and is a recognized World Chess Federation ("FIDE") International Organizer and FIDE Arbiter. He is a former President of the Southern California Chess Federation, a state affiliate of the USCF. To get in touch with us, use the email to the left below.